Did you know that Orcas eat up to 500 pounds of food a day? They like to eat fish, sea lions, penguins, squid, sea turtles, sharks, and even other kinds of whales? And they don’t even chew their food! They sallow it whole! Another intriguing fact about Orcas is that they weigh up 6 tons and are multi-colored. They have black on their backs and white on their tummies. These are just a few of the many facts you will learn about the whales at the all new Orca Encounter at SeaWorld San Diego. In 2017, my family and I had the opportunity to preview the new show, which was similar to watching a live documentary. 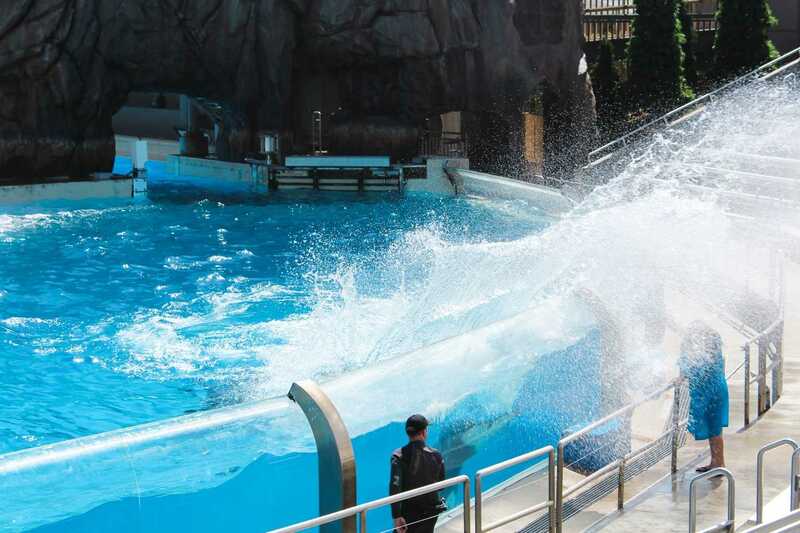 By far, the new Orca Encounter is much less theatorical and more educational in substance. 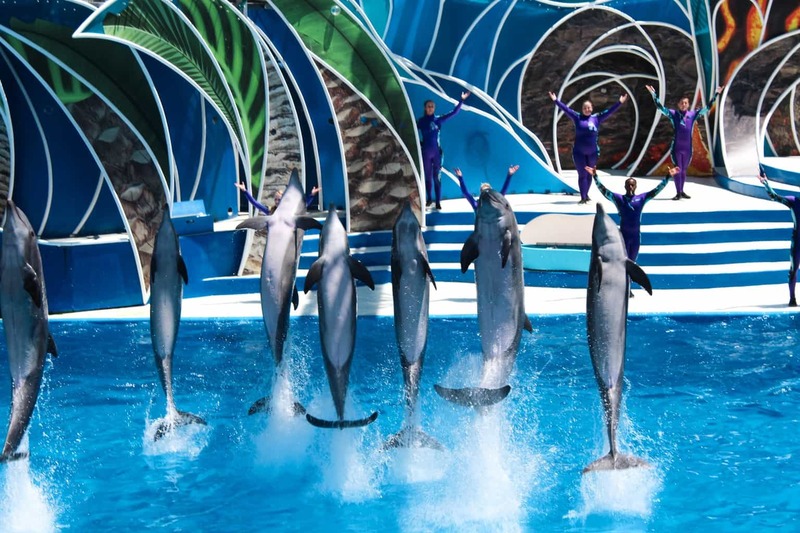 During the show, there are a total of 11 whales that perform outstanding choreographed moves set to synchronized music. The whales still come out of the water to display their beauty, but the trainers no longer swim with them. Now the animal behavorists explain to the audience how the whales hunt for their prey in the wild and communicate with one another through play. 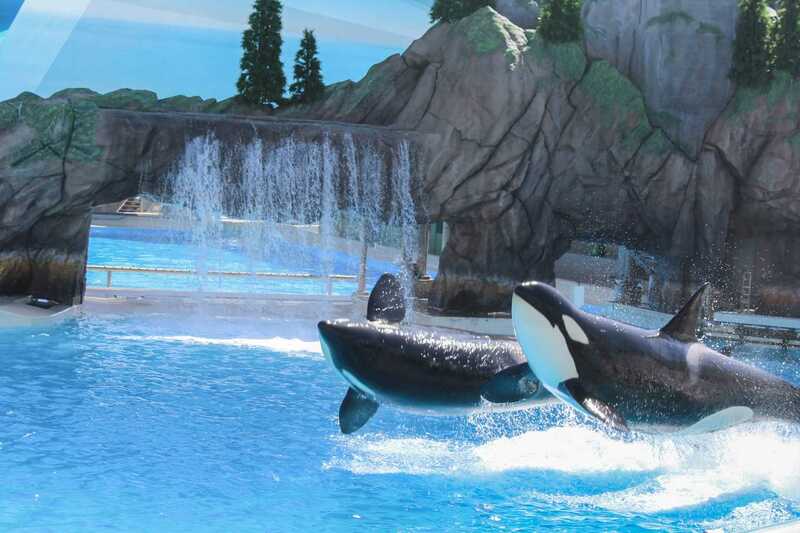 The new show is also accompanied by a video that features real-world orcas doing the same maneuvers in the wild. 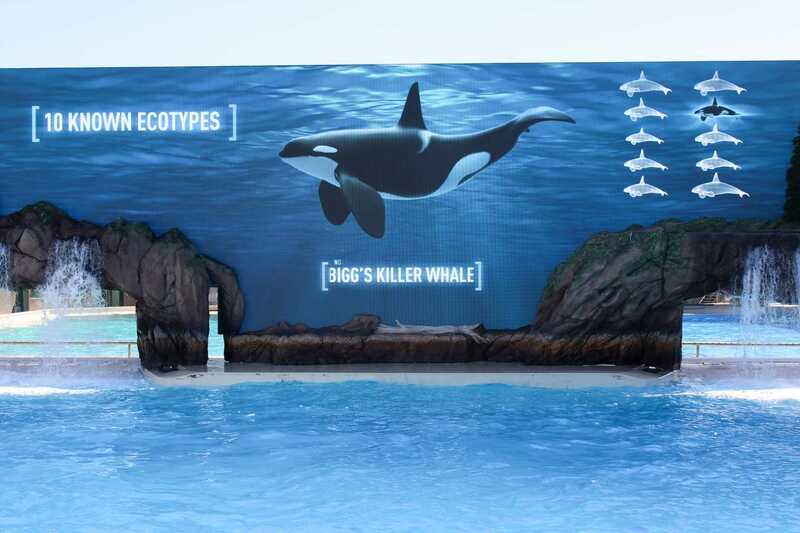 So, if your child loves whales, then a visit to see the new Orca Encounter at SeaWorld is instore for you. And just in case you want to get wet, they still have the original splash zone area! 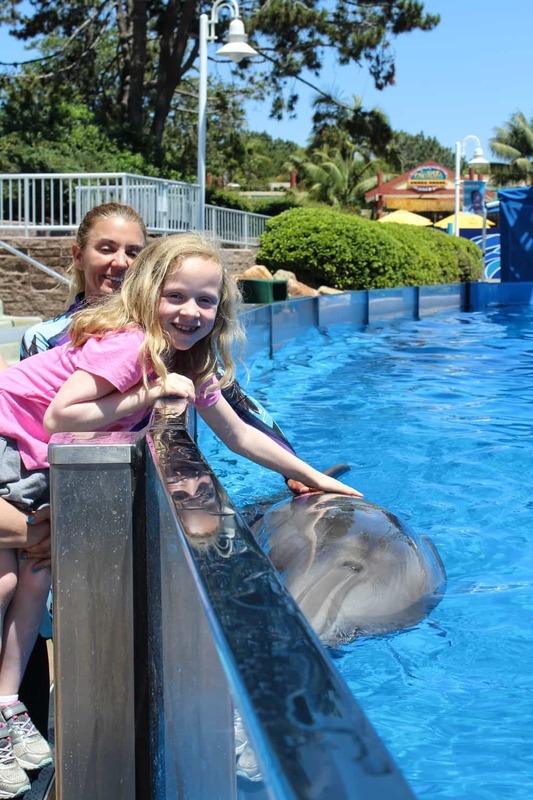 While at SeaWorld, I was also encouraged to learn about the park’s efforts at animal rescue, research and conservation. 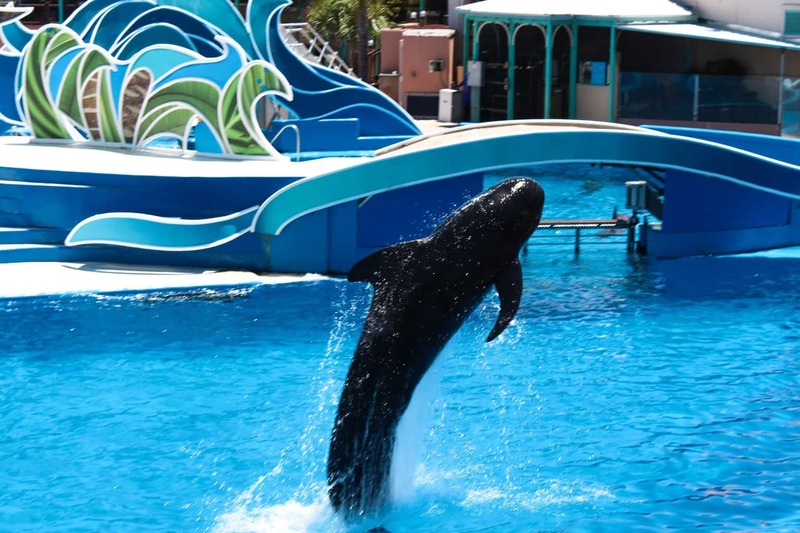 With their history spanning more than 50 years and benefiting more than 28,000 animals, responding to wildlife in crisis is a commitment SeaWorld does not take lightly. 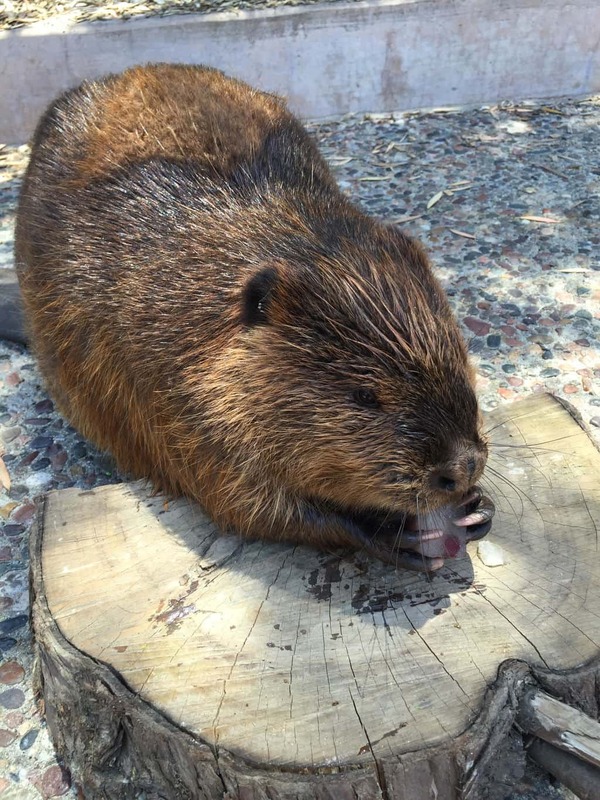 Take this beaver for example. 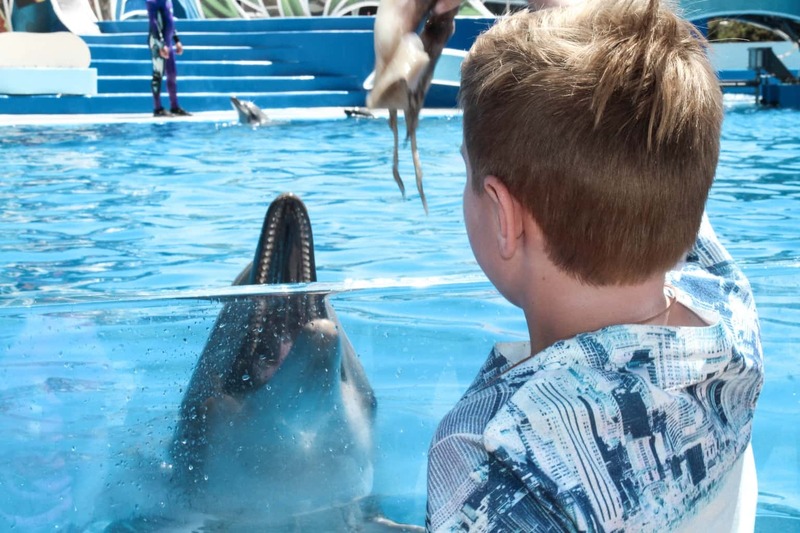 He was adopted by SeaWorld as a baby after a group of hikers found him alone in the woods. 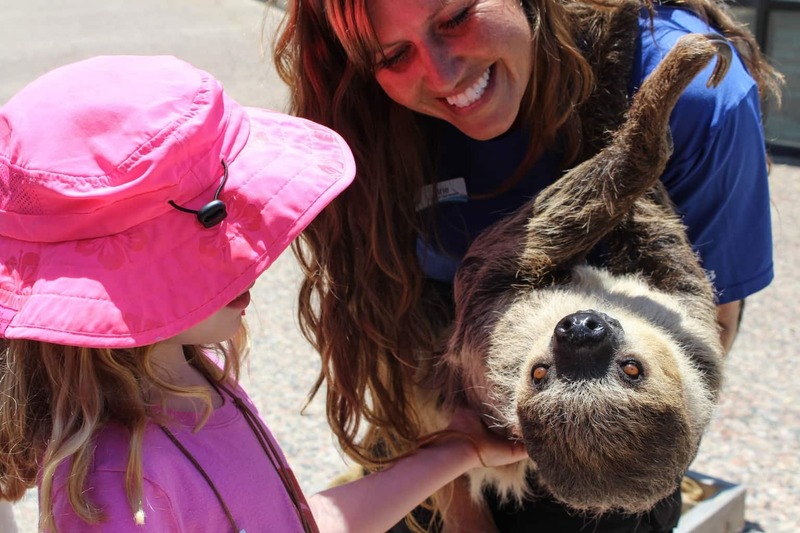 Today he is an official SeaWorld Animal Ambassador and gets to meet and greet thousands of children throughout San Diego county as a part of SeaWorld’s community educational programs. 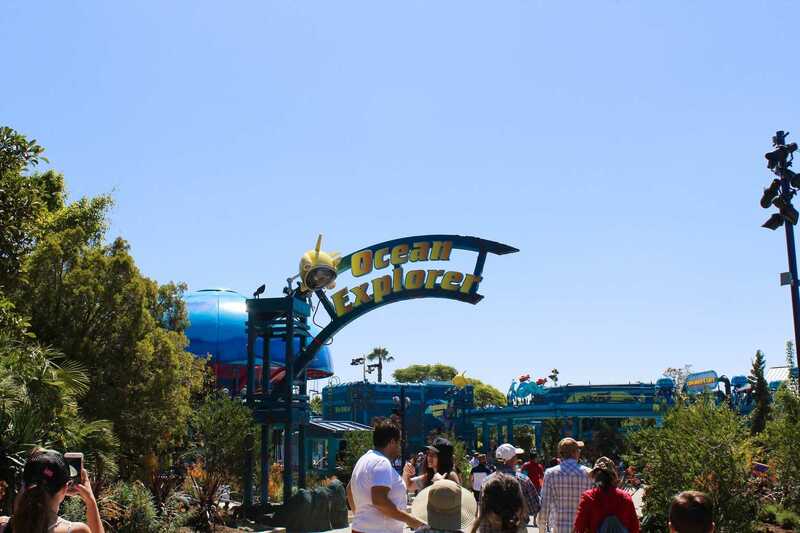 In addition to the new Orca Encounter, SeaWorld recently opened a new area in the park called Ocean Explorer, geared towards kids ages 4 to 8 years old. 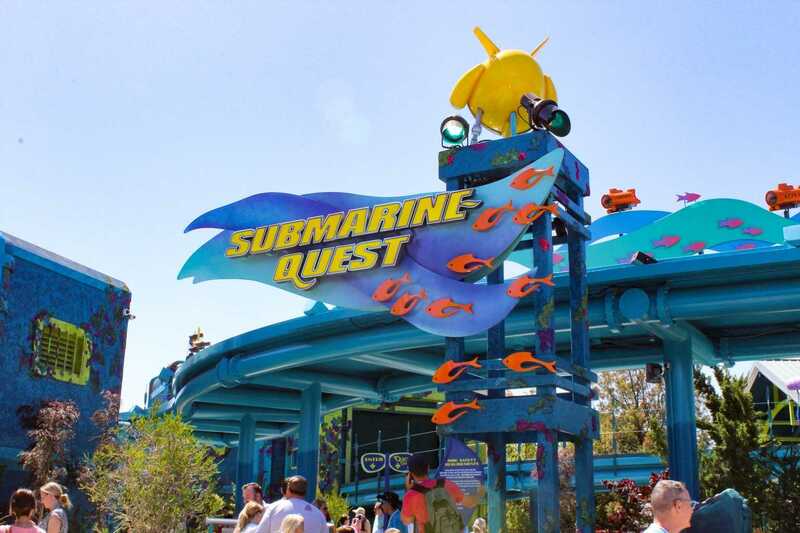 Submarine Quest – Join an elite deep-sea research team aboard Submarine Quest on a mission to collect data to help some of the sea’s most mysterious animals. 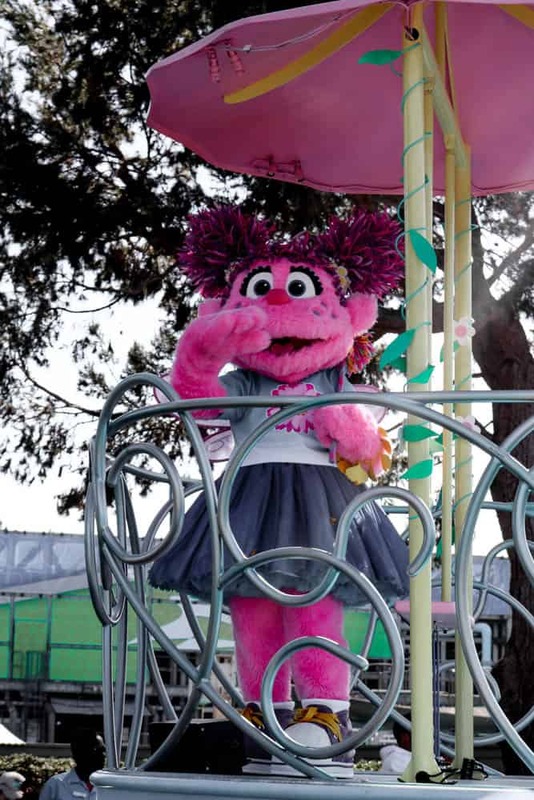 Tentacle Twirl – Catch a current of fun as you take to the skies on this exhilarating swing ride. 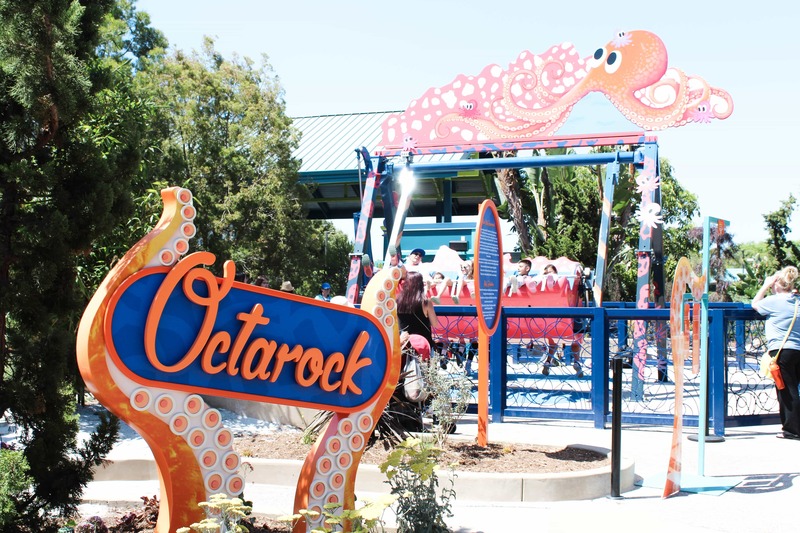 Octarock – Like the ebb and flow of a playful tide, feel the rhythm of this rockin’ ride. Aqua Scout – Bounce, bump and bumble around aboard six mini subs. Sea Dragon Drop – Enjoy just-right thrills on this shot-n-drop tower scaled for younger explorers. And for all you die hard fans, you’ll be happy to know that SeaWorld still performs many of their original shows which first put them on the map. 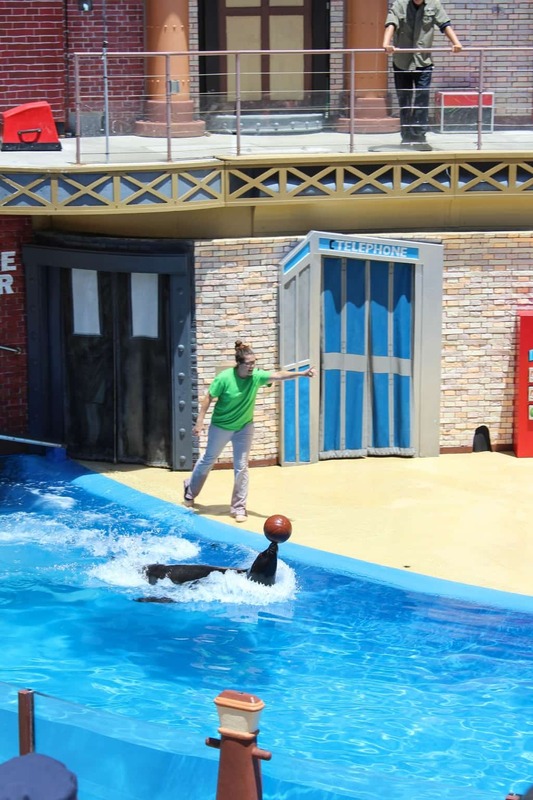 Including the Dolphins Days Live Show where dolphins and pilot whales show off their athleticism and playfulness. 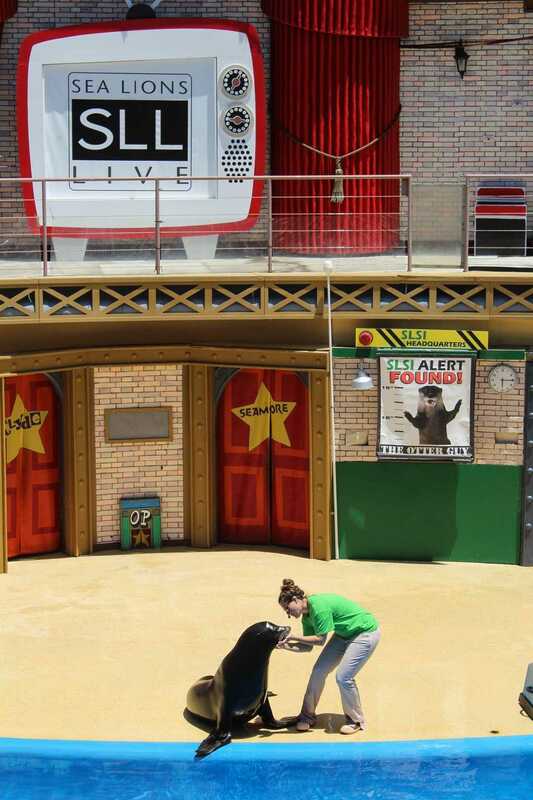 And the Sea Lions Live show where audiences get to watch what comics Clyde & Seamore are up to in their family-favorite TV and music spoofs. New for this summer, The Sesame Street Party Parade is marching excitement throughout SeaWorld. This colorful, musical, and show-stopping parade is fun enough to get the whole family dancing. This event features 10 larger-than-life themed floats including Sesame Street favorites such as Mr. Hooper’s Store and Count’s Castle. The whole family will be singing and dancing along with Elmo and his furry cast of friends as they join more than 20 dancers along the parade route. 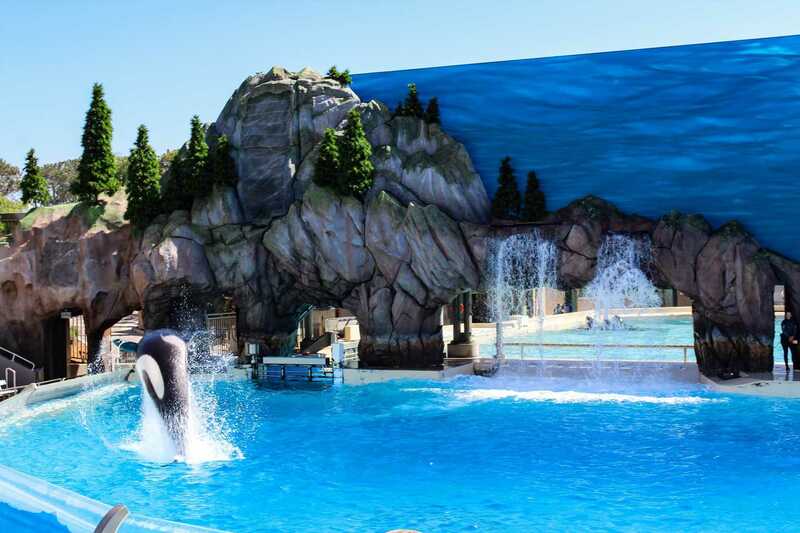 SeaWorld San Diego is located at 500 Sea World Dr, San Diego, CA 92109. To learn more about SeaWorld’s new Orca Encounter and arrange your next visit, go to www.seaworld.com! 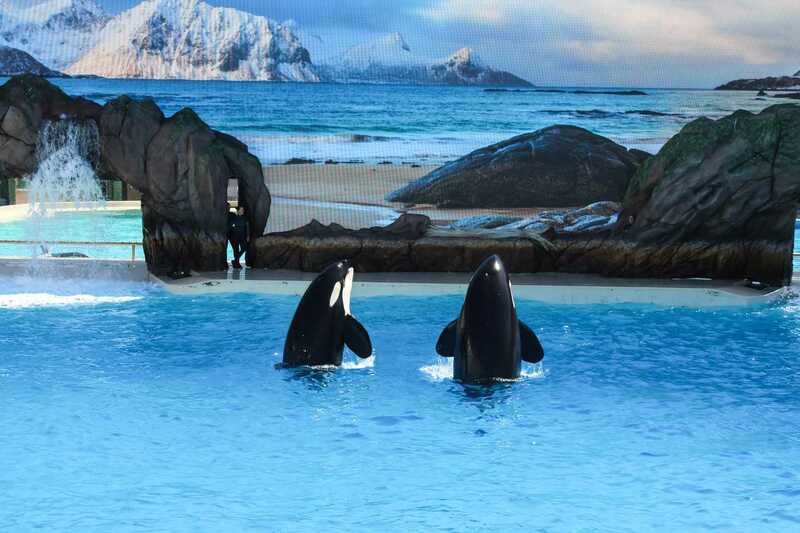 The Orca Encounter looks amazing. My girls would love it! We homeschool so this would be a field trip of a lifetime for them! yes, we would love to go! ive been to the la zoo, fresno zoo, disneyland, knotts berry farm and every other park out there except the san diego zoo. so this is why i would love to win. because ive never been there before. I didn’t know that Fresno had a zoo. I will check it out! My friend’s boys would love to have a good summer story to tell when they go back to school. and what could be better than SeaWorld?! I would love to take them there and see the wonder in their eyes as they pet a dolphin and see otters playing for the first time! It will be like it’s my first time, too. Thanks for the chance to win and take them!! Awesome blog post!! I cant wait to bring my family there this Aug!! We haven’t been in 5 years I think it’s time for another visit. I would love to take my boys for their first visit! I am sure they would have so much fun!! my kids love the rides at sea world. thanks for the chance. 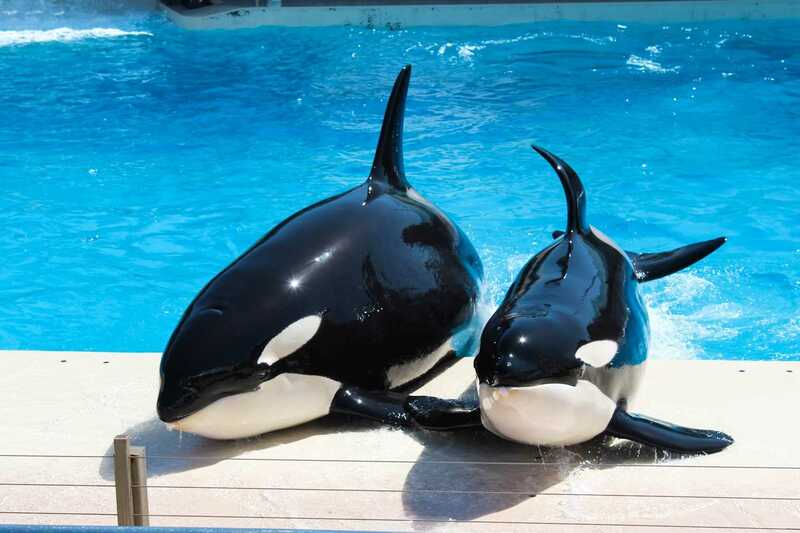 These would be an amazing gift; love SeaWorld and my kids thoroughly enjoy everything about it.